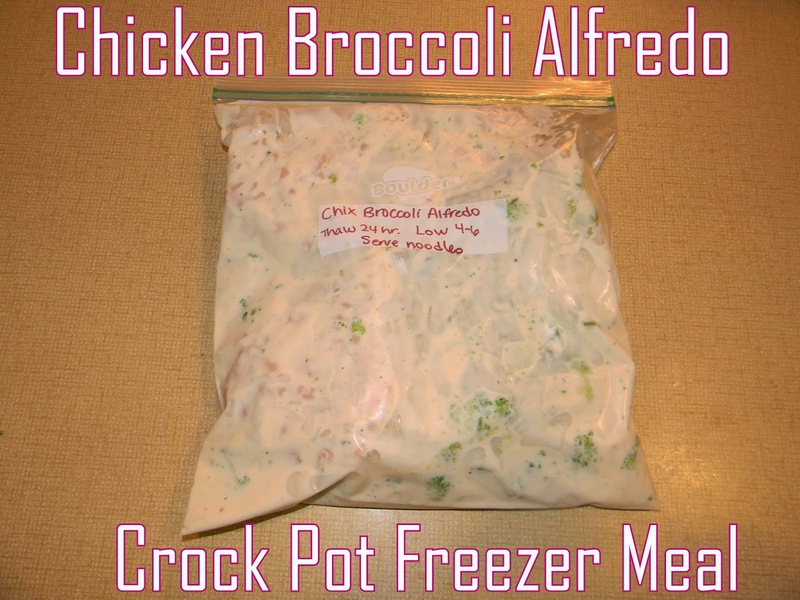 Ready for another crock pot freezer meal? This recipe was delicious. The broccoli was in smaller pieces so it was easily hidden from the kiddos and I so we ate it with no complaining. To freezer, just put all ingredients (except pasta) in a gallon freezer bag. On cooking day, thaw for 24 hours ahead of time. Pour into crock pot and cook on low for 4-6 hours. Cook pasta al dente and mix in before serving.